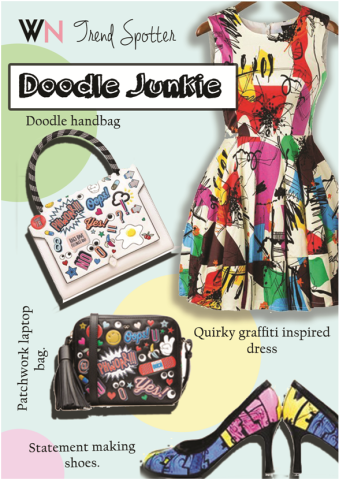 Home Beauty #Trend Alert: Doodle Junkie! Ever spend a while sitting in class doodling at the back of your notebook instead of really paying attention? Ever thought your doodles would someday make a fashion statement? This month’s trend alert thrives on your scribbles! This is your time to stand out – bold and colorful and daring prints and splashes of colour – wear this around and be a walking piece of art. Too scared to take the leap and paint directly on clothes? Create your own patches by painting on canvas – cut them out and sew them on – you’re ready to rock. Also note that there are patches available online in so many cool and funky patterns that you can sew on to your garments too! Do lots of emojis. Who doesn’t love emojis? They are fun and quirky and the embodiment of the trend and a perfect and accurate representation of how you feel and who you are – find emojis that best describe you and wear them! So go ah Doodle on. Previous articleIs your marriage heading for a divorce? A passionate fashion enthusiast, currently pursuing her bachelors in fashion business in Mumbai, India.